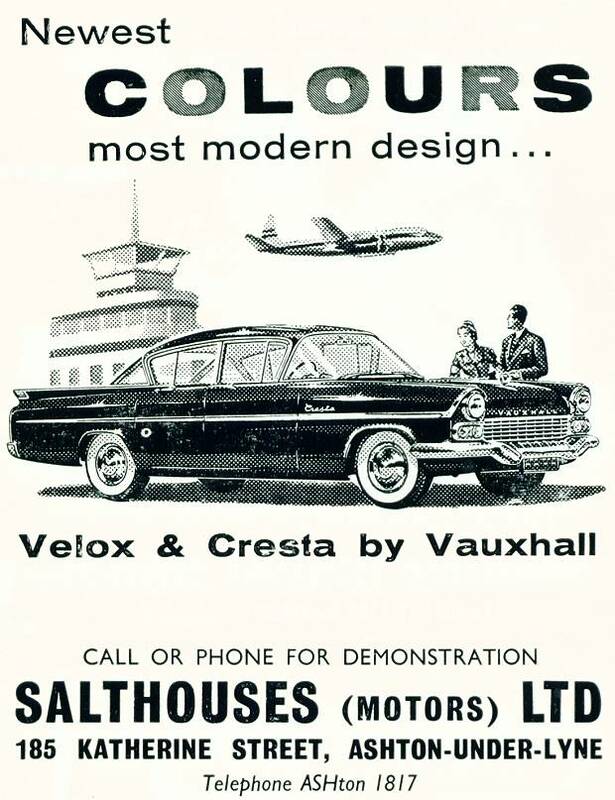 Advert Museum - Salthouses (Motors) Ltd.
My father owned one of these cars, in two-tone blue. It had a steering column gear change and bench seats, so the driver and two passengers could sit in front, and three more had plenty of room in the rear. Of course there wasn't a seat belt or air bag in sight, and there were plenty of projecting controls on the dashboard fascia to make any collision a real disaster. But somehow these factors never worried us. The car was big, comfortable, good-looking and quick. My brother and I were thrilled to see the speedometer indicating ever faster progress as we travelled for the first time, on one of the UK's new motorways. With lots of 'egging on' from us as we leaned over the front bench seat, my father got the car up to just over 90 miles per hour. Luckily there was no motorway speed limit in those days, and the experience certainly gave us something to talk about at school!